Winter months are the best for pruning and trimming trees and shrubs during their dormancy. Call today for a free estimate. Now is the time to have your mower serviced. Don’t wait until it is time to cut the grass and you find out it will not start. One of the most important things is to have the blade(s) sharpened. This should be done twice a year, once in spring and again in July. It is a good idea to have two sets of blades so when you go to change them, you can swap them out. Also keep mower bottom clean. Time for the first of three tick control applications. Early spring is the time to apply pre-emergent crabgrass control. Crabgrass will germinate when soil temperatures reach 55 degrees. This is usually around the first or second week of May. This application should not be done earlier than the end of March or later than May 15th. Once this application is done, you should not do any heavy raking/dethatching. Raking will break the pre-emergent barrier and will not be as effective. 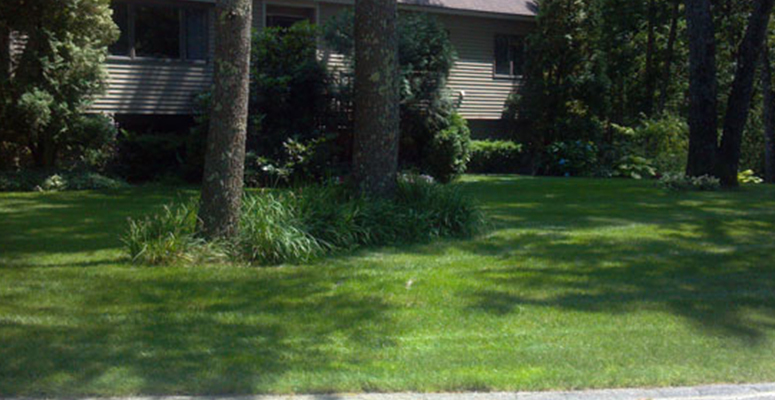 The best defense against crabgrass is a thick, healthy lawn. Snow Mold may show up around this time. When turf is dry, a light raking to “fluff” up damaged areas will speed up recovery. Now is the time to start thinking about mowing and watering your lawn. 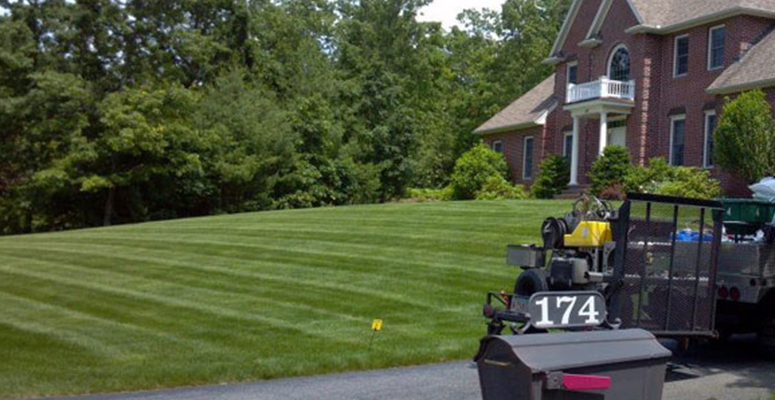 Mowing should be done when you will not cut more than 1/3″ of the grass plant off. Cutting off more than 1/3” will stress the plant and may be more susceptible to diseases and drought. 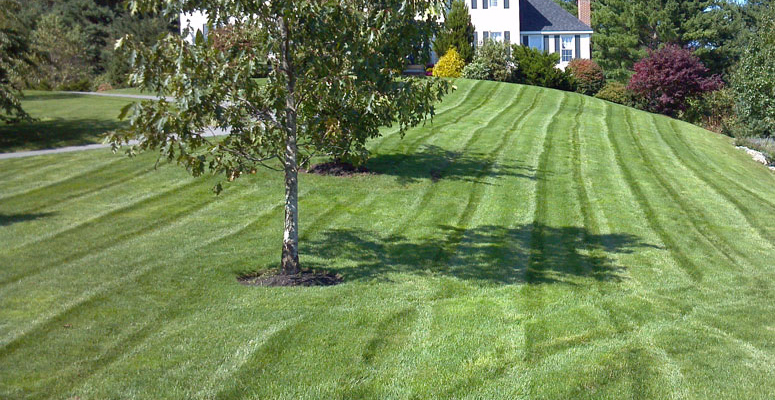 Turf Unlimited recommends a cutting height of 3” – 3.5”. Cutting at this height will help to shade the turf so weeds are unable to germinate and also help with drought tolerance. 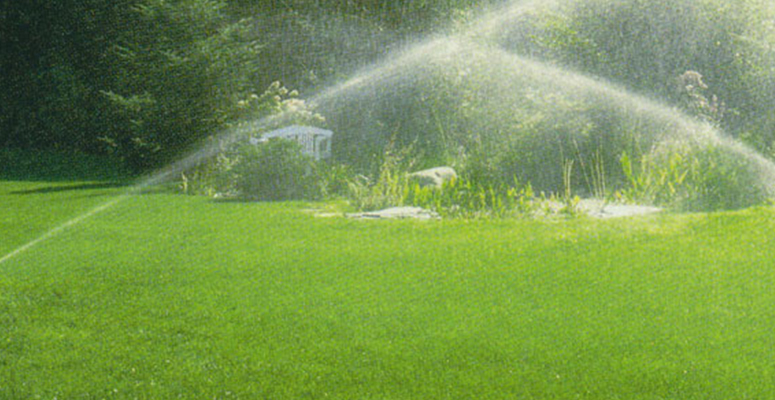 If you have an automatic sprinkler system, you should start it up and make sure everything is operational. Customers with hoses should take them out of storage and check for leaks and make sure the sprinklers are operational. 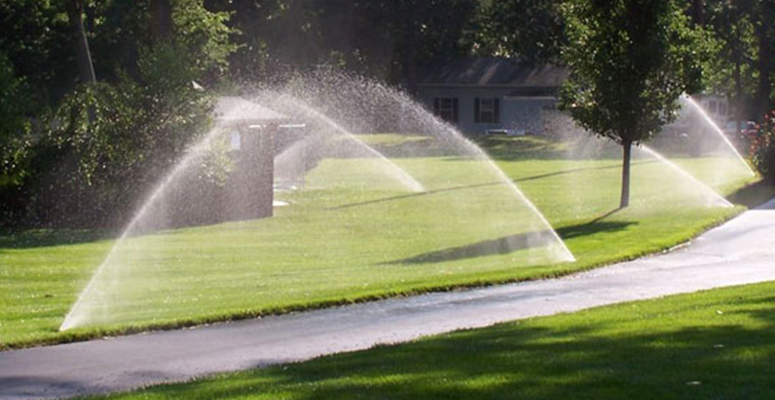 Most cool season turf requires 1″ of water per week. This is only an estimate as soil conditions, grass types and sunlight play a big role in determining how much water is needed. This month, insects become active and can start to damage turf. The warmer the weather the more potential activity. 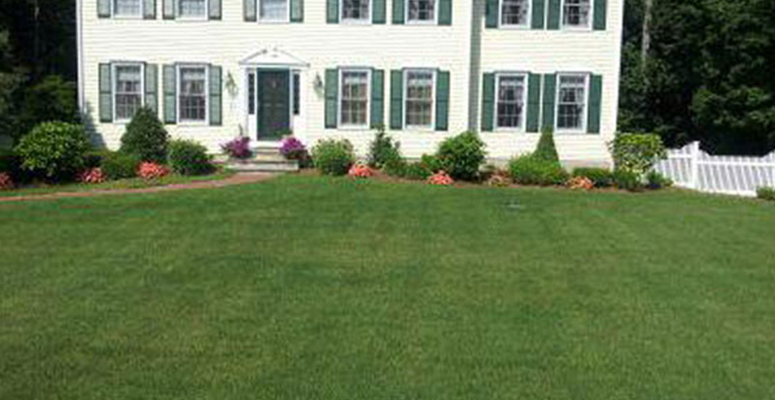 Irrigated turf that develops brown areas may be showing signs of chinch bugs, bill bugs or sod webworm. June is also the time when we start to apply our preventive grub applications. This application targets the larvae that hatch the end of August. Time to sharpen your mower blade again. A dull mower blade will tear the grass blade instead of giving it a nice clean cut. Tearing the grass will leave more open surface for evaporation, more susceptible to diseases and give the lawn a brownish haze. Try to mow during the coolest part of the day, before 11AM and after 4PM. Grubs will be hatching this month. Look out for brown turf that rolls up like a carpet. Birds and skunks feeding on the lawn will also be an indication of a grub problem. During the hot summer months, try to keep toys and other items off the lawn as they will leave burn marks, even if for 1 day. Now is the perfect time to seed, whether you are starting a new lawn or overseeding an existing lawn. There is no pressure from weeds germinating at this time and should end up with a good start heading into winter. Remember to water at least 2 to 3 times per day for best results. September is also a great time to consider core aeration. Fall is the best time to apply lime. Lime benefits your lawn by helping to balance pH levels in your soil, control thatch and promote nutrient uptake. Now is the ideal time, before grass goes into dormancy, to apply a pot ash application to help prevent snow mold. Now is when you want to remove all leaf cover before the snow falls. 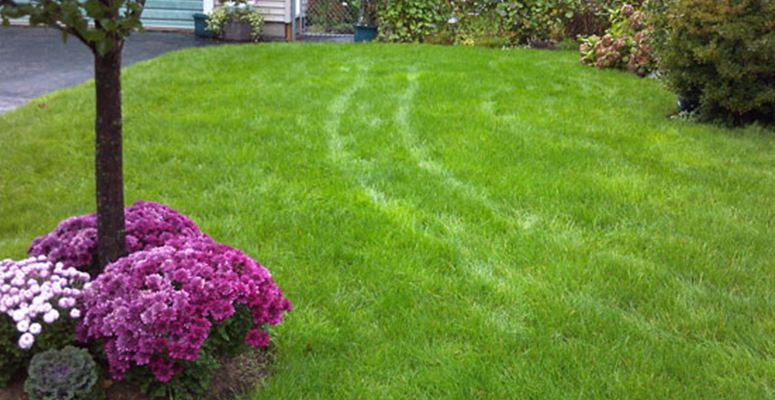 If left, leaf cover can smother the lawn and result in dead patches come spring. 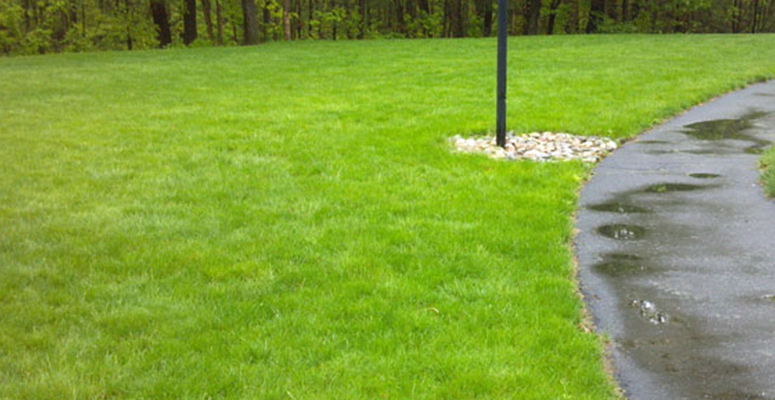 You do not want to mulch leaves into lawn, they should be removed.